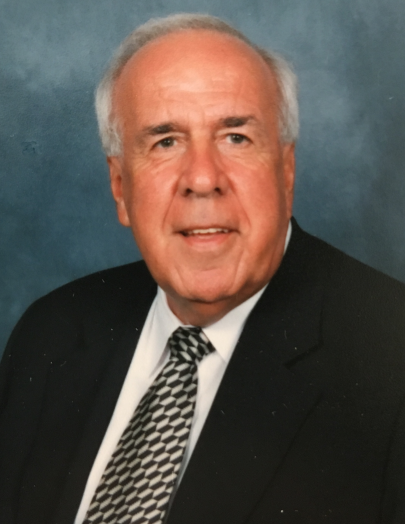 Benny L. Frady, of McCalla, Alabama, passed away on March 18, 2019, at the age of 78. He was born to Archie and Jeannette Frady in Converse, South Carolina. He lived a life dedicated to his family and to God and was a loving husband, father, and grandfather. He is survived by his wife of 54 years, Jean Godfrey Frady; his son, Hobie Frady (Phyllis); his daughter, Jennifer Allinder (David); his grandchildren, Abigail and Catherine Frady, and Tanner and Mackenzie Allinder; his brother, John Frady (Judy); and his nieces and nephew. The funeral service will be held on Friday, March 22, 2019, at 1:00 PM in the Chapel of the Abbey Mausoleum at Jefferson Memorial Gardens, South in Hoover, Alabama. In lieu of flowers, the family requests donations be made to Grace Life Baptist Church’s - Building Fund. Donations may be mailed to: 6200 Lou George Loop, Bessemer, Alabama 35022.